The Circus is coming to Greenbriar School! 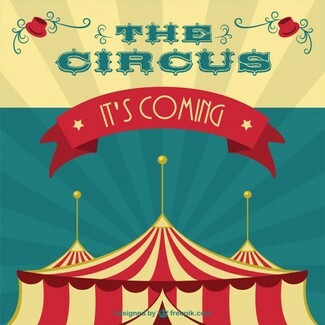 The 2019 Greenbriar School Field Day will be a Circus themed extravaganza. Thanks to our generous PTO, we are excited to introduce Cirque Amongus! Cirque Amongus brings to us a hands-on program designed to build self-esteem, develop motor skills, and promote teamwork via the circus arts. On Wednesday, June 5th the entire school will participate in a Cirque Amongus circus project with a performance by all students at the end of the day. We need a large number of volunteers for the full school day to help make this event possible. As a volunteer you will help the students learn circus skills such as juggling, acrobatics, tight-wire and trapeze and assist them in putting together the show. Please take a look at the schedule and sign up below. If you are unable to attend for the full day we will be able to accommodate you and will work out the details at the training. *Please Note: There will be a required training for all volunteers, No experience necessary. Just come to one of the training meetings on Tuesday, June 4th for detailed instructions and for a chance to try out the circus equipment yourself. I can help in the afternoon only.